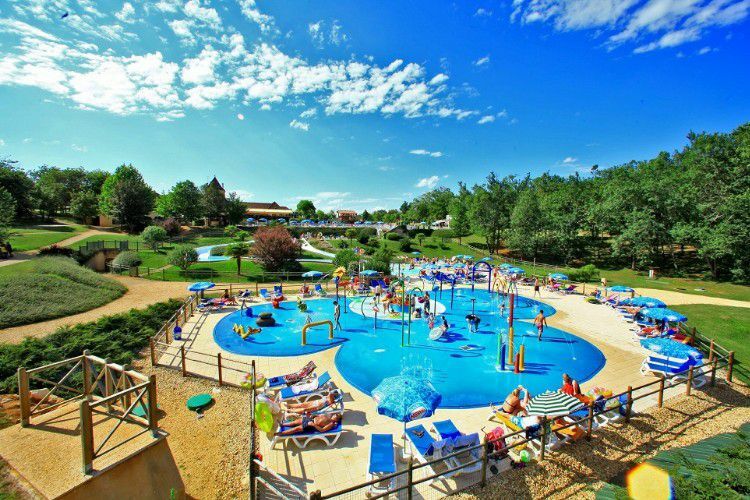 For unforgettable holidays with family and friends, come to the Saint-Avit Loisirs campsite in Aquitaine. 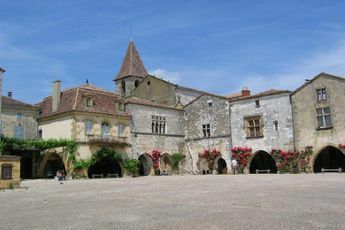 This campsite is spread out over 53 hectares of woodland and is located only 14km from Limeuil, 39km from Sarlat and 35km from the hanging gardens of Marqueyssac. The campsite has many activities for you to enjoy. The on-site waterpark has an indoor and an outdoor swimming pool, a lazy river and slides. After enjoying the cool waters of the pools, holidaymakers can take part in numerous on-site activities like football, mini-golf, tennis and much more. The playground for the kids is perfect for them to run around in and have fun. For those who wish to relax, the bubble pool is great for a little “you time” under the shade of the palm trees. The Saint Avit Loisirs campsite also has an on-site restaurant, bar, snack bar, grocery store, laundry services and wifi access. This high-quality campsite which belongs to the “Les Castels” group of campsites also has a bike hire service so that you can discover the whole region. 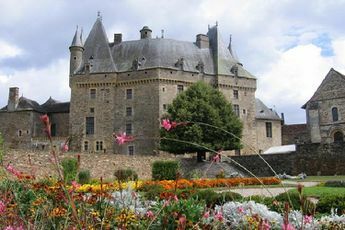 Make the most of the Dordogne and visit the hanging gardens of Marqueyssac, a real little corner of paradise. 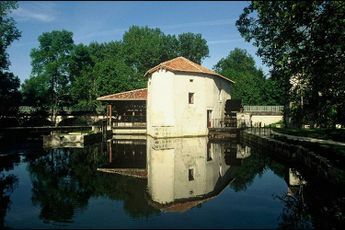 For those who prefer a little history, come and visit the national prehistoric Museum in Eyzies-de-Tayac-Sireuil. Bugue Train Station (10 km). 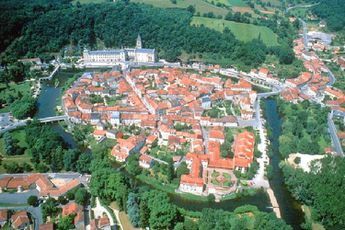 Welcome to the charming little town of Saint-Avit and the pre-historic region of Aquitaine. 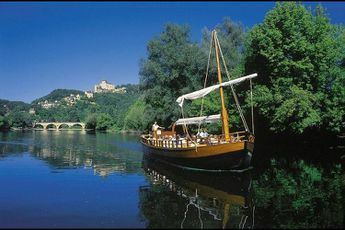 Located between the Bugue, Journiac and Sainte-Alvère, the towns of Dordogne still hold traces of its history. 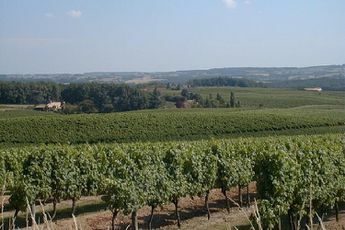 On the edge of the Vézère valley, this charming village is situated just 38km from Sarlat, Bergerac and Périgueux. These 3 towns must be visited when in the region. 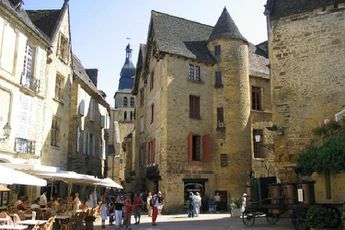 Jeux du Théatre festival (Sarlat) - Mid July to the beginning of August. Périgord Noir festival (Montignac) - End of July to the beginning of August. 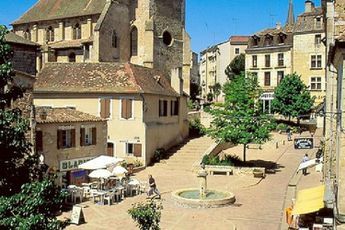 Mimos festival (Périgueux) - Beginning of August. Sinfonia festival (Périgueux) - End of August.